Yangon, Myanmar -- On September 24 when the Burmese military opened fire on demonstrating monks and citizens in Burma I was asked by an American friend " Burma is a Buddhist country. Why are the soldiers shooting innocent monks and people? Aren't Buddhists supposed to be non-violent?" My answer was " they are soldiers first and Buddhists last." I explained to him that the Generals who are ruthlessly crushing the uprising of monks and people are trained career soldiers. They have been running the country since Ne Win's time in the early 60s like an army boot camp. Every one toe the line other wise get out or get killed. Its Ne Win's legacy of absolute authoritarian rule and the present Generals are cloned his own image. In 1988 just before the student uprising, Ne Win stepped down but before he did that he gave a rare public speech. He specifically warned the country that he would allow democracy and multiparty system but if the population demonstrates the soldiers will not point their guns upwards but straight ahead. And true to his words when the students started mass demonstrations the soldiers did open fire and killed more than 3,000 students and drove a whole generation of most college students into the jungles of Burma. Unfortunately this legacy still continues in Burma up to this day but because they are now at the centre of the world stage the generals are reluctant to commit mass murder like in 1988. But they are still resorting to force by jailing, physical assault among other things. In short these generals are behaving like soldiers not like statesmen. They have no political experience other than running the military in their former career and probably do not know anything about true statecraft. Being Buddhists is the last priority to them. But the other hand Buddhism is useful to them so that they can sit on the fence. 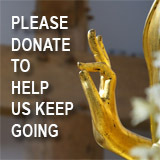 They try to build up their image as good Buddhists in name by building pagodas, constantly donating to famous monks the photos of these events are highlighted in the Burmese newspaper every single day. This is a useful way to soften their harsh image especially after the mass massacre of '88. But when there is a threat to their hold on power they probably overlook or ignore their image of being Buddhists. At the drop of a hat then the killer soldier pops up and picks up the gun. "Soldier you will not die. If you die you will not go to hell." Which probably play an enormous part in programming the military into this image of invincibility and gives false credibility into using force. 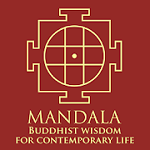 For the common Buddhists in the country the hellish realm is the last thing a good Buddhist would like to go after death. 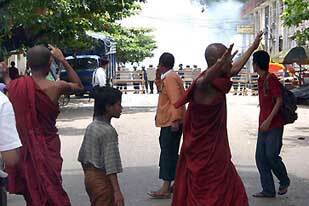 There is also the prevalent idea of Burmese nationalism which supercedes the teachings of Buddhism. The rigid discipline and regimentation has a very powerful effect diluting the influence of Buddhism on the individual soldier. When I am asked this question I normally say that what is most representative of Buddhism is in the faith of the common Burmese people and not the military. The latter is a completely circumscribed institution of men who are hardened for the battlefield to defeat the enemy real or imagined. When these men happen to govern a nation they have a hard time adapting and learning the art of civil governance. And they have the guns to help them have an iron clad power over the population. Actually Buddhists don't kill; only soldiers who appear to be Buddhists do.